Will the stripped-back UI remain? You might have heard - Google has sold Motorola to Lenovo. Once you've got your head around the fact Google is dropping something it paid £8 billion ($12.5bn) for in 2012, there's a bigger issue here: your next phone is probably going to be more expensive. But the better news? Android is going to evolve into something a lot more useful. Lenovo swooping in and gathering up Motorola isn't a big shock, despite the surprise at the deal happening so fast. This is a Chinese brand that's constantly in the top three vendors in its home country, a region that's one of the fastest growing in the smartphone world. It was faced with a choice: spend billions on marketing and product research and try to force its way into both new and saturated markets - or just trot in and shower some cash on one of the incumbents. Instant presence. It was supposed to buy BlackBerry back in 2013, but that was apparently blocked by a suspicious Canadian government worried about giving such a national treasure to an outside firm. So now Lenovo, a successful brand in the PC space, is going to open both barrels on the smartphone world. But without Google's magic supply of money, we aren't going to be seeing devices like the ultra-cheap Moto G any time soon. While it was always maintained that Motorola was able to reach that cost level organically, it seems impossible that the magical price was possible without some help from the Big G, especially given the above average specs on offer. That means the next budget Motorola handset is unlikely to be as cheap, so competitors – currently panicking about how to rival something that's a fifth of the cost of top-end devices – can relax without being castigated for not being as cheap as 'that Motorola phone'. Lenovo has traditionally played in the larger-screen device arena, which means that a Motorola phablet is likely to be given some attention rather than continuing with the low-cost smaller handset range. 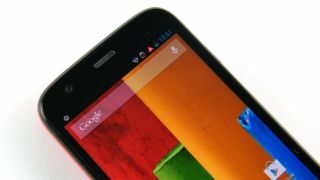 In fact, Lenovo Chairman and CEO Yang Yuanqing confirmed that consumers 'can expect it with the Motorola brand'. Google has been doing some sterling work in the tablet as well as high- and low-end smartphone markets, driving down the cost with the Nexus range and making Motorola more competitive. It was widely expected that, if the Nexus name was retired as reported, Google would pump more effort into its 'halo' smartphone brand. But now Motorola has gone, this could actually be great news for Android fans. Google's place in the smartphone arena riled a lot of its manufacturing customers – and it's no surprise that Samsung has agreed to relax its relentless assault on Google's apps by dropping the effort into some of its own. "Google creates a much simplified business environment by divesting itself of Motorola Mobility," said Ian Fogg, head of Mobile at analyst IHS Technology. "It removes the channel conflict with other Android smartphone makers because Google will no longer have its own competing smartphone hardware division. "Like Apple, Nokia, and Palm before it, Google has failed to balance the competing business demands of distributing operating systems while also making hardware. Where those companies chose to downplay their OS licensing business in favour of their own hardware play, Google did the opposite and sacrificed Motorola." With Google no longer a threat to manufacturers, the likes of HTC, Sony and Samsung will likely be more willing to promote Google's suite of movie, music and gaming options which will in turn make Android a more holistic place, rather than a dripping, disparate beast that is light years away from the sheen of Apple's iTunes store. And with Google admitting it couldn't go 'all-in' on Motorola, it will inevitably focus on making the Android platform a sleeker environment and working with manufacturers to bring the 'vanilla' experience to the fore with a greater number of 'Play Edition' devices offering the stripped back OS. In short: while Google's presence as a hardware manufacturer was a great thing if you were after a great handset at a low price, ditching Motorola now means it can get back to making Android a great OS - and increased innovation and competition can only equal even better phones.